Sea, Sand & Sky: Were going Catching! Save the Harbor, sponsors and guests! Great day, Great fun! I just want to start off saying that the fishing derby was one of the best experiences I had the pleasure of partaking in! It made it even better that I was able to enjoy it with my two brothers Brian and Gian and my closest friends Ahmed and Lionel. I thought I would use this section to thank and shout out the people that made this possible. Thank you Bruce and Patty for allowing all this to have been possible. I know they put in extreme amounts of effort each year to be able to treat us to such an event and not only us but our friends and family as well. I would also like to thank those at Fan pier that allowed us to use their space. 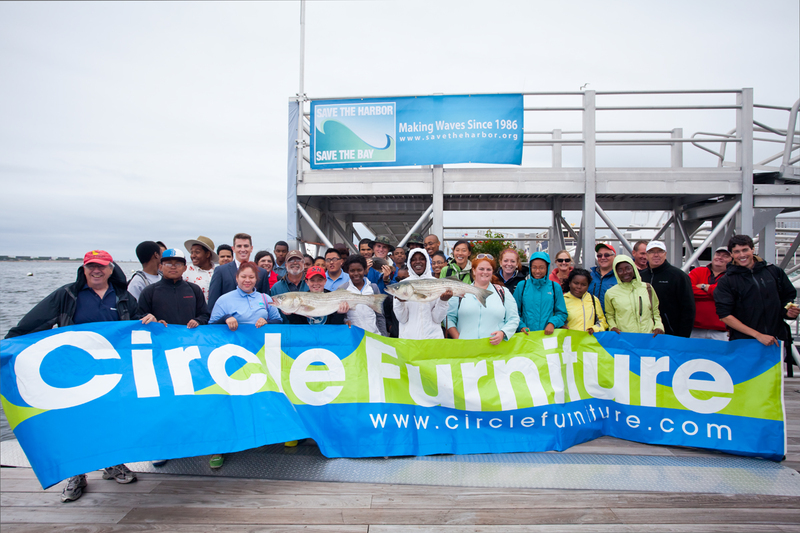 Thank you to the Fallon company, Circle Furniture and to Captain Jason for taking us out on his seat-less boat. 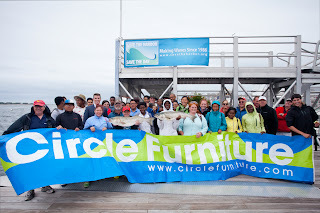 The fishing derby did not fail to rile up my excitement to get out there and catch! Since the day I was informed of this event, I could not wait to gear up and start casting. I was told by other SHSB staff that the fishing derby is one of the best events that we take part in and it never disappoints. Since I too have experienced this event, I agree that it definitely is one of the best events so far and you cannot go home disappointed. 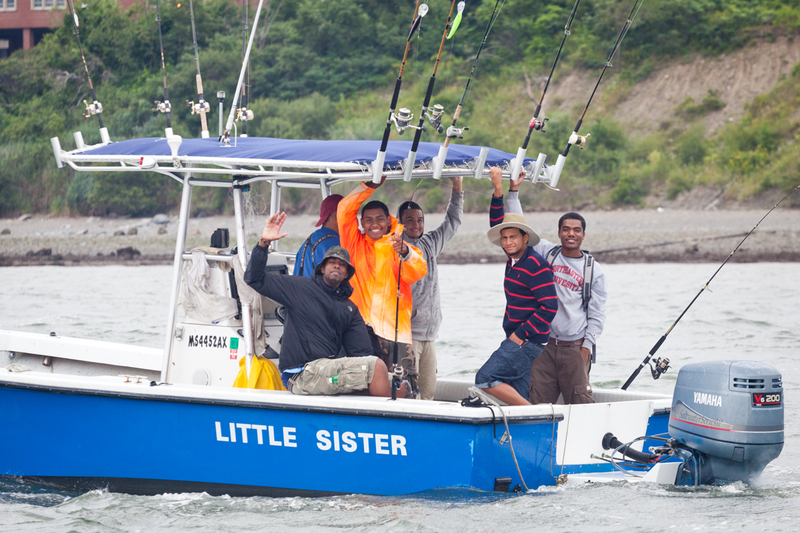 It is a free boat ride into the middle of the waters and free bait and numerous rods to use, How can you complain? 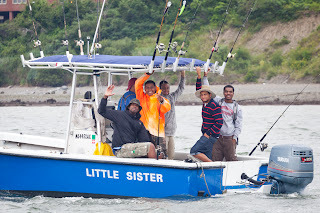 This was my first Fishing Derby and I am happy to say that despite the lack of fish we caught, I enjoyed the time on the boat with my friends and family. Our boat had no seats which was pretty funny. All we had were two large coolers that were not even secured to the boat. That was an intense seat to be in. We all wanted to stay standing anyways just to enjoy the breeze and open water. The weather was not perfect, very cloudy and very cold but it was still a really great day. On my boat we only pulled up two creatures out of the blue ocean and they were both skates, male and female. That was the first time I have ever heard of a skate let alone carried one. It was pretty awesome and I also learned that they are related to the Sting Ray. The fishing derby was both fun and educational! After trying our luck on various fishing spots we thought were promising, we headed back to the docks where there was food and drinks waiting for us. One by one the boats arrived with similar unlucky stories until Bruce's boat showed up. 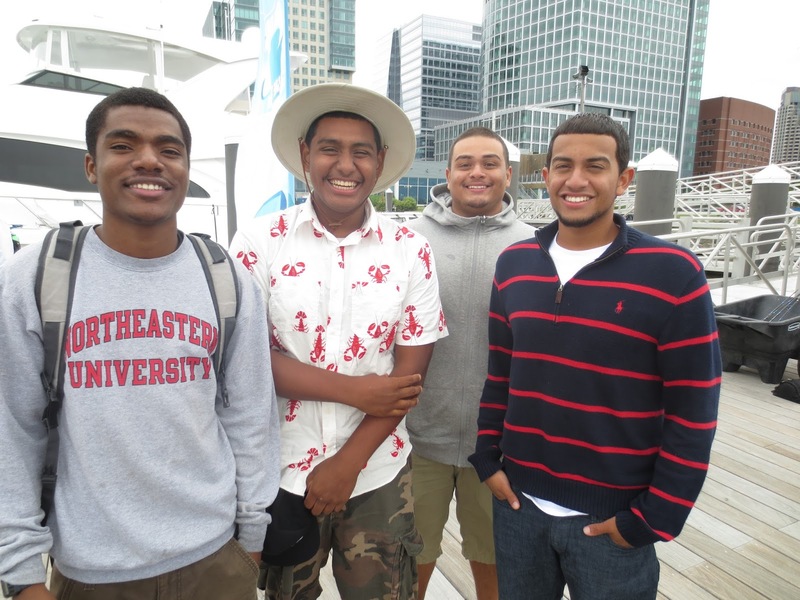 "We caught 30 fish, We caught 30 fish" is what they were all boasting about as they docked at Fan pier. At first I was skeptical (No not spectacle) but I took their word for it. Most of their fish were not keepers but hey, at least they caught some fishes. Will Conroy even caught a Flounder which is pretty epic. It was great to know that at least one person caught a fish in this tournament. Well that is my account of our fishing derby and I hope you enjoyed it, until next time!